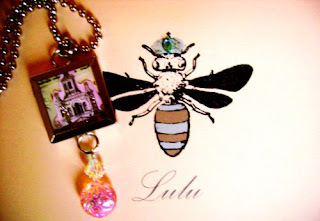 Julia and Co: Thank you LuLu !! Beautiful wrapped , a lovely card and an absolutely gorgeous necklace!! Thank you so much LuLu , I'm so very happy with it and I'm wearing it right now! I am THRILLED you like your necklace! 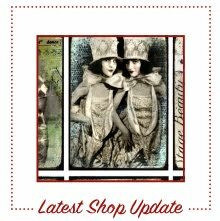 It was my please to send this to you! Thank you for creating so many wonderful images for me to work with. That neclace is so cool...! 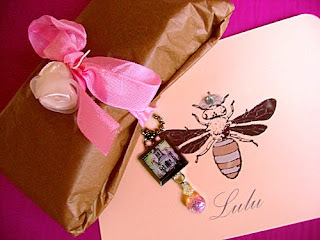 It's really sweet of you to do a post about LuLu's gift! Doesn't she just make the nicest things? Oohhh wat ontzettend lief om zoiets te krijgen, prachtig!